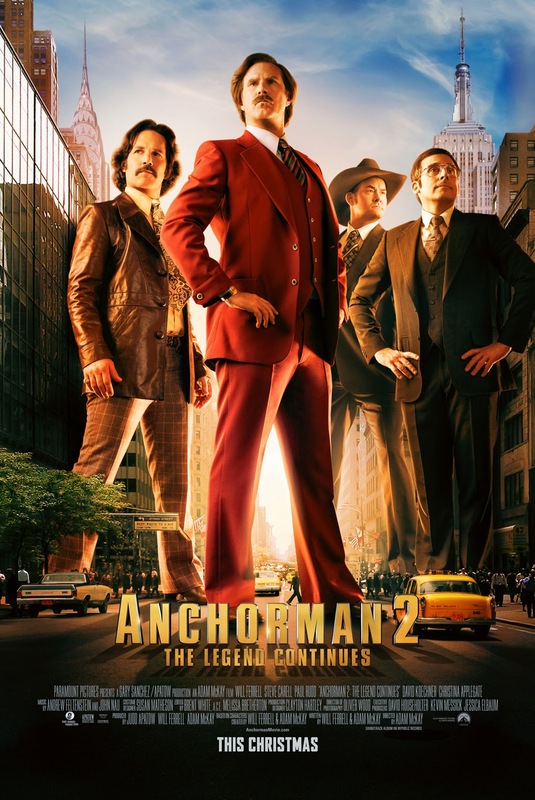 Anchorman 2 just as the first is a typical Will Ferrel vehicle. If you do not like him chances are you won't like the movies he is making. Anchorman is Will Ferrel at his best. Playing a character that doesn't give a damn and his full of himself. That means he is incredibly rude and offending but in a very hilarious way. Now Anchorman was perfect as it was. It did not need a sequel. In my opinion very good comedies rarely need them. Of course there are a few exceptions but I won't go into that now. However since it has been 10 years the first Anchorman was made I guess this comedy couldn't hurt. Compared to the original Anchorman 2 is a little lacking. Less rude and offensive, less sharp and much more long winded. But like the original it's filled with hilarious sequences and moments.It is in these moments Will Ferrel and the other characters shine. Going from ridiculous to absurd. I simply loved it. It is assumed though that you have seen the original since a lot of the jokes is based on the characters established in the original. Which is a very smart move since the original never was a box office hit but over the years has gained cult status, very deservedly so. So don't hesitate, go watch Anchorman: The Legend of Ron Burgundy first and then watch this sequel. One of the better comedies that have come out recently.